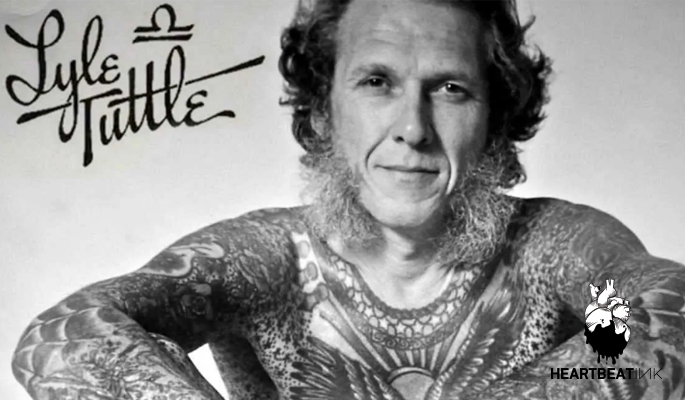 Lyle Tuttle, also known as the father of modern tattoos, has been an exceptional persona of the international tattoo scene. He was born in 1931 at Sheraton, Iowa but grew up in Ukiah, California. His love for tattooing flourished at a very young age, having acquired his first tattoo when he was only fourteen, at the price of three and a half dollars. In 1946 he began to have his first experiences as a tattoo artist. The era, however, was quite difficult, you had to break a wall, he said, to enter the world of tattoo, meaning the small, then closed community of artists back then. In 1949 he starts tattooing professionally and works for Bert Grimm, an acclaimed tattooer of the time and a major chapter of the tattoo history in America. In 1960 he opens his own tattoo studio in San Francisco. There will be musicians, actors and other celebrities such as Janis Joplin, Jo Baker, Henry Fonda and many others, passing from his studio. In 1990 he retires from tattoo, but continues his action, teaching in tattoo conventions and opening a tattoo museum, with the ultimate goal of leaving a piece of history to the next generations. In 2014 he managed to become the only tattoo artist who worked on all seven continents. Lyle Tuttle passed away on March 25, 2019, at the age of eighty-seven. His work and his contribution to the tattoo will stay here.